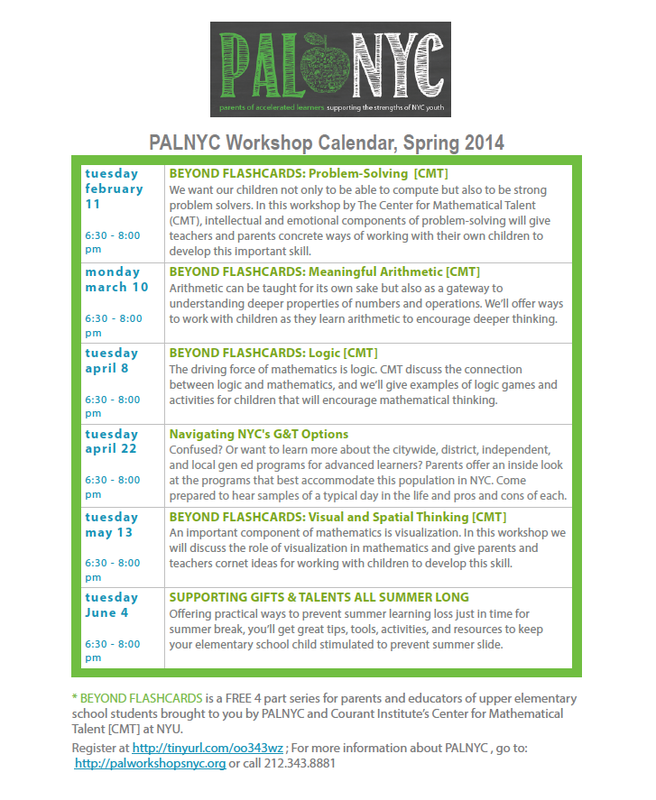 Join us this Spring for the PALNYC Workshop Series, 2014 Season. 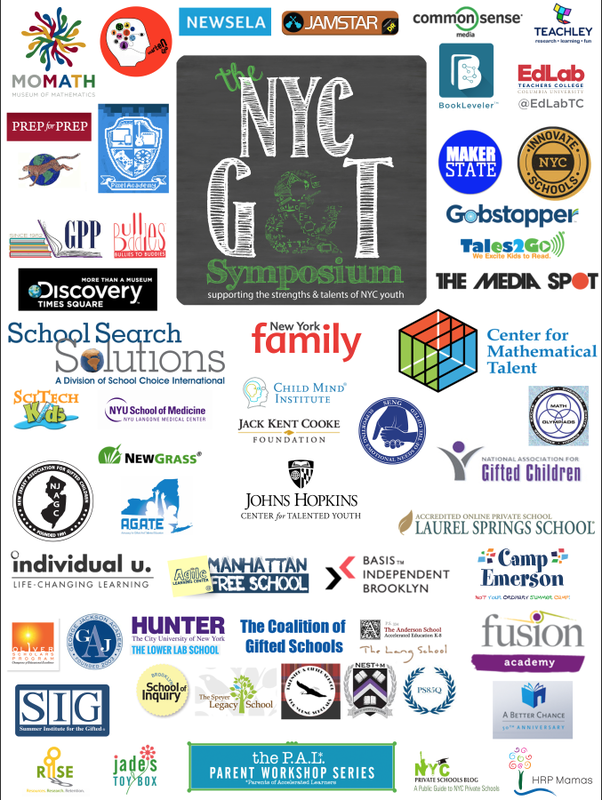 As a follow-up to an incredible NYC G&T Symposium in October, we are pleased to present our signature workshops including Navigating NYC’s G&T Options with an inside look at the programs that best accommodate advanced learners, and Supporting Your Child’s Gifts & Talents All Summer Long, offering practical ways to prevent learning loss throughout the summer. And don’t miss our FREE Workshops in partnership with the Center for Mathematical Talent at NYU’s Courant Institute where CMT’s Mark Saul and Sian Zelbo will show parents and educators what’s Beyond Flashcards: Exploring Mathematics with Children. 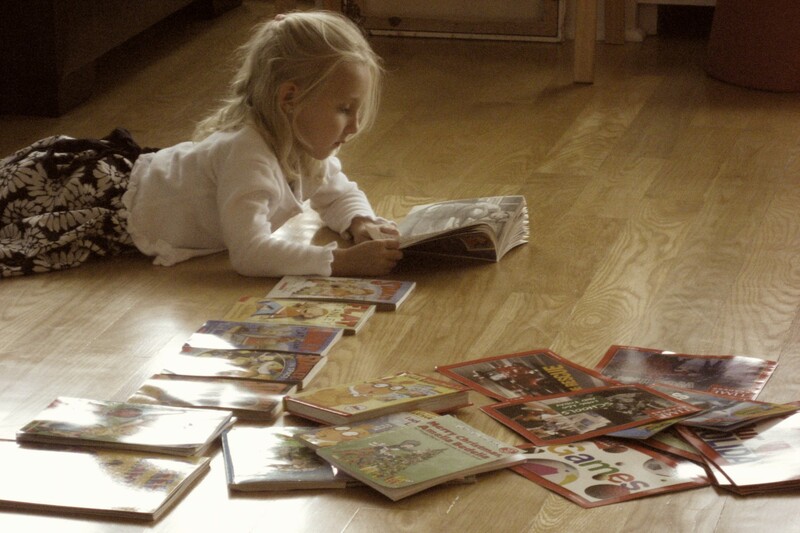 What kinds of activities help children develop their mathematical abilities? This 4-part FREE hands-on, monthly math series will introduce an approach to working with children that builds their skill at thinking mathematically. Starting with simple arithmetic, commercial games, and readily available materials, Mark & Sian dig in deeply, encouraging children to ask questions, develop strategies, and make discoveries the way a mathematician would. Seats are extremely limited to the Beyond Flashcards sessions, as this is a hands-on workshop series, so register soon! ← It’s TIME! Collaborate. Innovate. Educate.